The Match Options section determines what requests will match this response. In other words, it decides which requests this response will be executed for. If any of the conditions are undefined, it is not used in the match. All defined conditions must be true for the response to match the request. To match, the incoming request must use the specified HTTP Method. 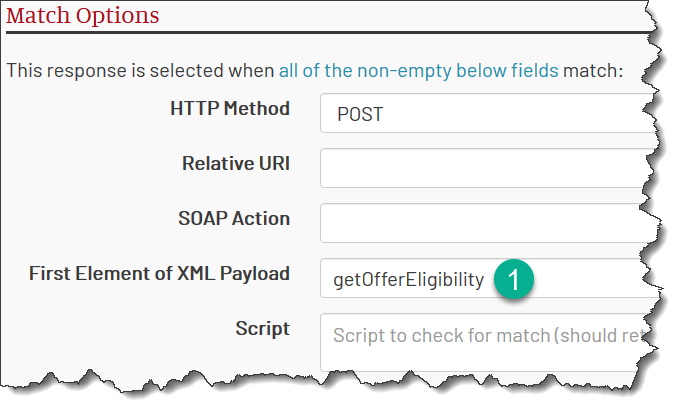 The pseudo-method “Any” matches any HTTP method and effectively disables this check. The operation is only strictly defined for SOAP requests. For the rest, the name operation is used loosely. SOAPAction is a value that is sent with SOAP requests. 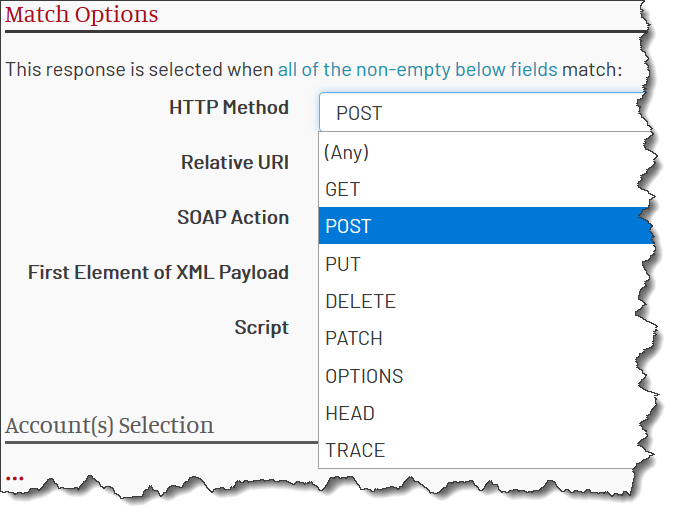 MockMotor supports both the SOAPAction HTTP header (SOAP 1.1) and action component of the Content-Type HTTP header (SOAP 1.2). For some SOAP services, the action field is not defined or defined as an empty string for all operations. We then cannot use the SOAPAction condition to select a response that fits the operation. However, for such services, the first element under SOAP Body usually has a unique name and we can use this instead. Note that SOAP Envelope elements (body, header) are not considered a part of the payload. Relative URI match is mostly aimed at REST services, though sometimes it can be useful for SOAP or XML services too. The relative URI is the part of the request URL past the service URL. The matched parameters are then placed into the $rest/rest variable and are available to script everywhere in the response. See REST Variable for details. This option effectively disables the match by operation. Normally, it is only needed in default responses that should match no matter what request has been received. Such default responses use HTTP Method = <Any>, Operation = Not Used and an empty script. 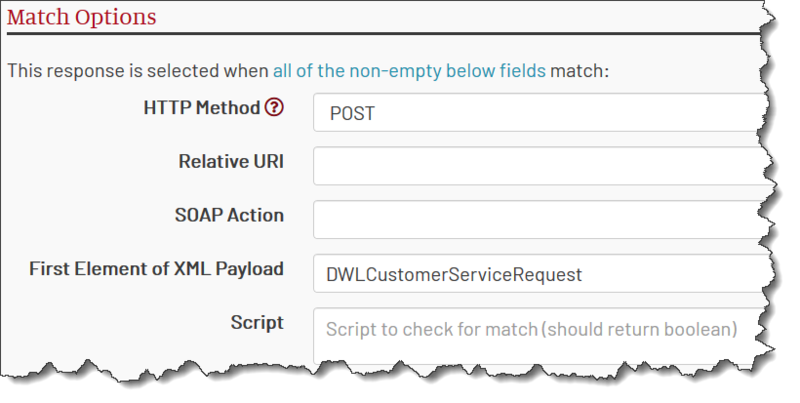 A match by a script allows fine-grained access to any property of the incoming request. Sometimes, we only need to match requests with a particular value in the payload. For instance, we may have different responses for two different consuming applications that are identified by their codes in the request. The $input variable contains the request. See Payload Variable for details. We can match the request based on the request HTTP header (or lack thereof). For REST services, a URL component can be a value that needs to be matched against. Sometimes users want to mark accounts as belonging to a specific flow - some responses should only match accounts in one flow. Note that this case is special. 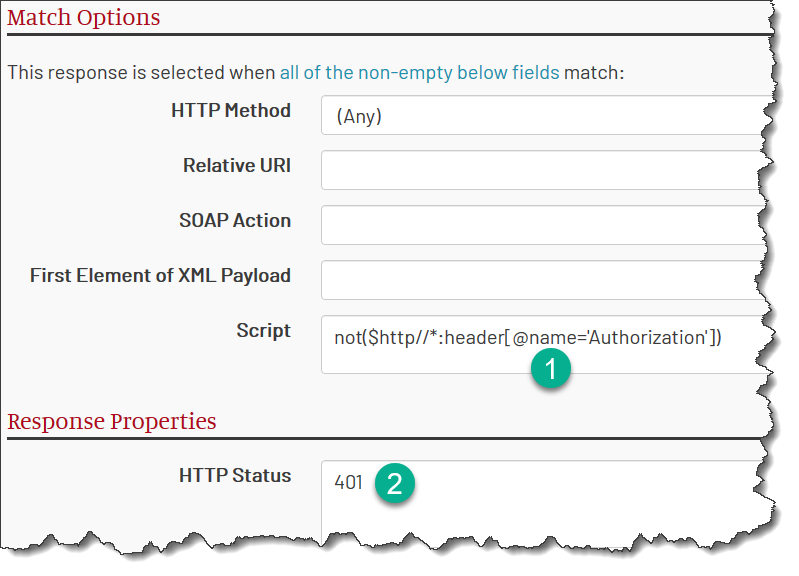 First MockMotor matches the request by the HTTP Method and first element of the payload (GetAccountDetails), i.e. performs the checks in its normal order. Then, however, it sees that the matching script contains a reference to the account variable $account. 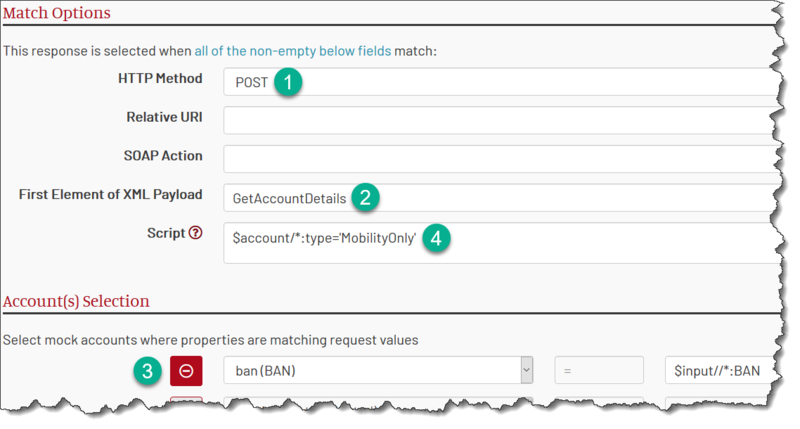 To have the value of the $account MockMotor first performs the account selection, finding the account that has the ban property matching the value from the request using the XPath $input//*:BAN. Only when this account is found and loaded, MockMotor executes the matching script, checking that the account’s property type has the value MobilityOnly. If the selected account has a different type, the response is considered to be not matching and the next response in the list will be tried.